I am new to trading on forex. This blog is about some of my early trading experiences and my attempt to apply some logic to the process of electing a broker. The three brokers that I have considered are Fortuneway, IG and AvaTrade. How well can you predict the market? The market is like the weather. The further ahead you try to predict the less likely you are to be accurate. This is particularly true of the bitcoin market. The primary decisions a trader can take is when to enter the market and when to exit. Timing is key. The other, lesser factor is unit price. We can think of this as an attribute of the forecast. It represents confidence. These are the factors that the trader can control. 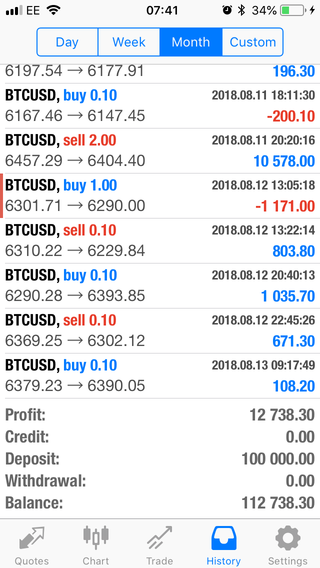 Here is a summary of 62 trades that I made over August and September, 2018. The percentage of successful trades was 63%. In this case, success simply means that the profit was greater than zero. As an individual trader you cannot access the market directly. Only a broker can do that. There are many brokers, each wraps trading activity with policies that are designed to earn them money, and hopefully you too. How does the choice of broker impact the trading outcome? As we are interested in the success of predicting the market across all the brokers, we first try to normalise the data. The analysis uses the points moved between open and close. 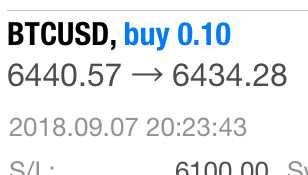 This a better metric than profit because USD is skewed due to the different ways that brokers calculate profit. The diagram shows how the points were distributed across data set. Trades with FortuneWay were the most successful as all the points are above zero. Conversely the trades with IG resulted mostly in loss. The profits were calculated from the open and close prices using this forumula. This explains why the broker with the largest contract size (FortuneWay) generated the greatest profit. 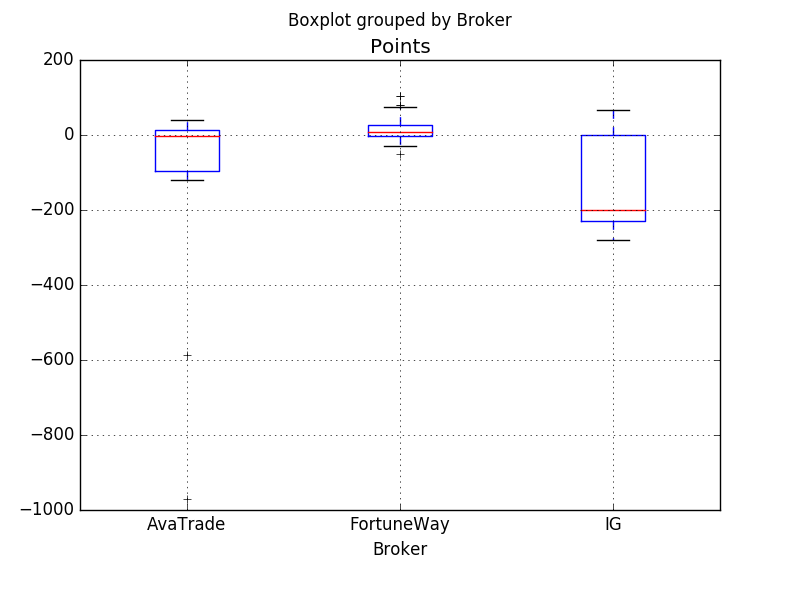 This is despite the fact that they won the smallest number of points (see the boxplot diagram above). The following table shows the contract sizes, as well as all the attributes of the policy provided by each broker. Spread is the difference between the ask and bid price. Spread is applied when the trade is struck. For example, IG will always add 50 points, in either direction. 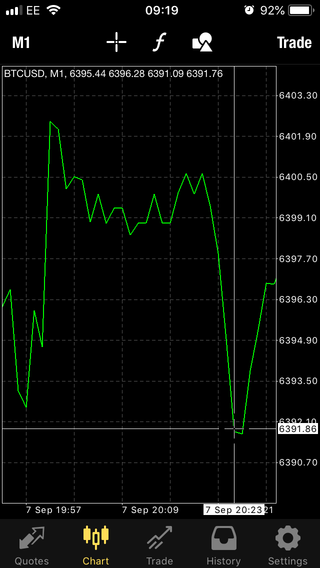 In MT4 See Quotes > Advanced for the current spread. Effectively this means the trade has to anticipate 48.71 points before getting into profit. The discussion has concentrated on the opportunities and risk of profit and loss, associated with the various brokers. Let’s round-off with a higher-level summary of the differences. IG scored highest on regulation because they are backed by the FSA and I am a UK citizen. Although the FortuneWay website is under-developed, the real-time support has been excellent and they were the most profitable due to their thin spread. Avatrade have the best website, but a lack of transparency on their pricing structure lowered their overall score. You may wish to download the data used for the analysis.